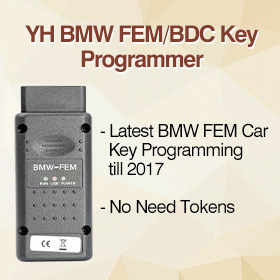 This will help pick the HU100 lock with Lishi HU100 Lishi 2in1 Pick / Decoder. 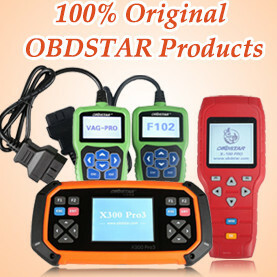 The HU100 lock is widely used across The GM , Opel , Vauxhall range of vehicles across the world . 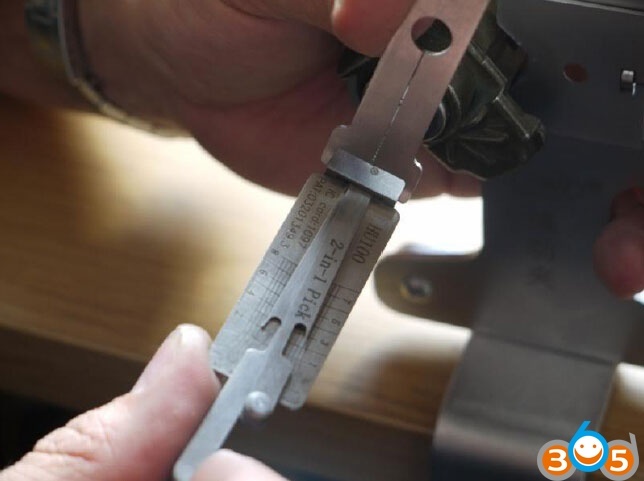 A version of this lock is now used on some BMW models from 2010 onwards , although not the same pick as a mirror image, reverse profile of the HU100 lock , with a much longer blade , the same picking process will apply to these new locks. 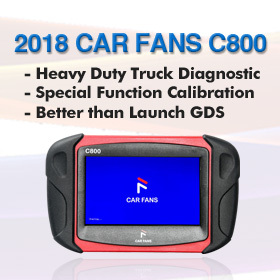 The pick is not of the standard lishi 2in1 pick decoder design , this pick like the Mercedes HU64 and Ford HU101 picks , has 2 x lifters instead of the 1 lifter. 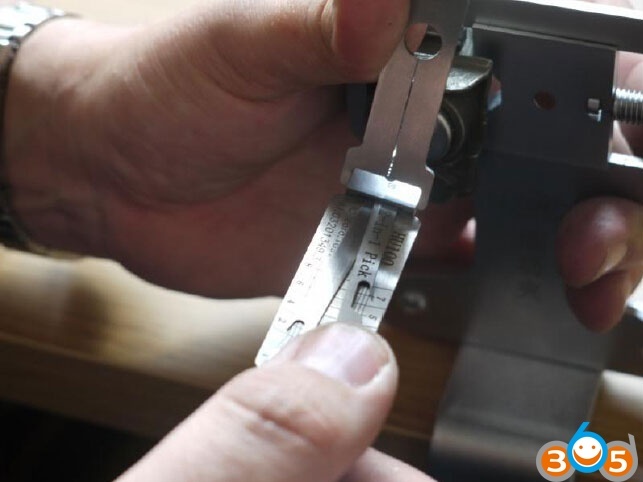 This pick has 1 lifter for the top row and one lifter for the bottom row of wafers in the lock , this is because the lock is an internal 2 track lock. 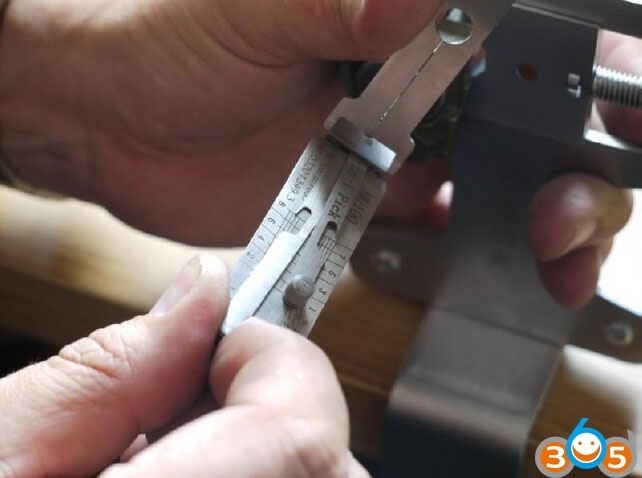 The Lishi pick is simple to use if a very light tension is used , a very light tension is crucial for this lock, following the correct picking sequence also greatly simplifies the picking of this lock , and the decode is extremely accurate. 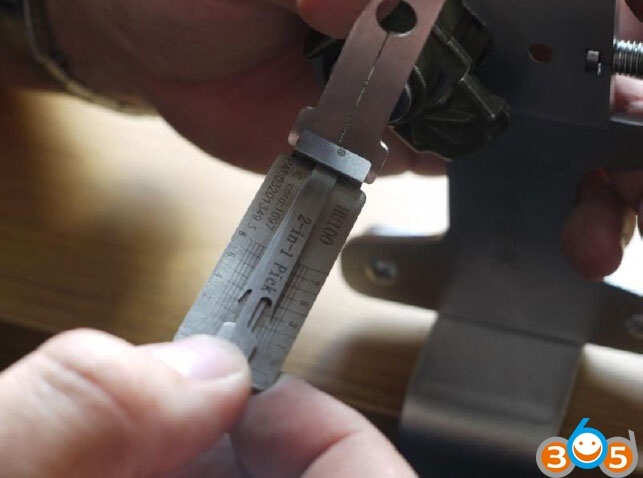 As stated this lock is susceptible to following a set picking sequence , it is always best to try and set all of the odd numbered wafers first , positions , 1 , 3 , 5 and 7 , this wont always be possible , but on the whole it is. 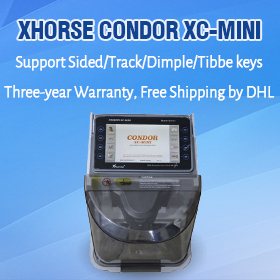 Once positions 1 , 3 , 5 and 7 are set , a slight movement of the plug will be felt , this confirms to the user that these positions are set. 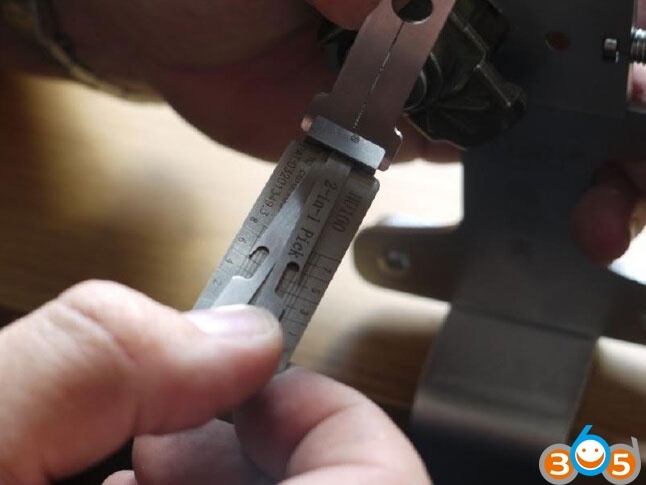 In the rare occasions that you cant set these first , set as many of them as you can , then pick the binding wafer on the even numbered positions , then return to the odds till set. 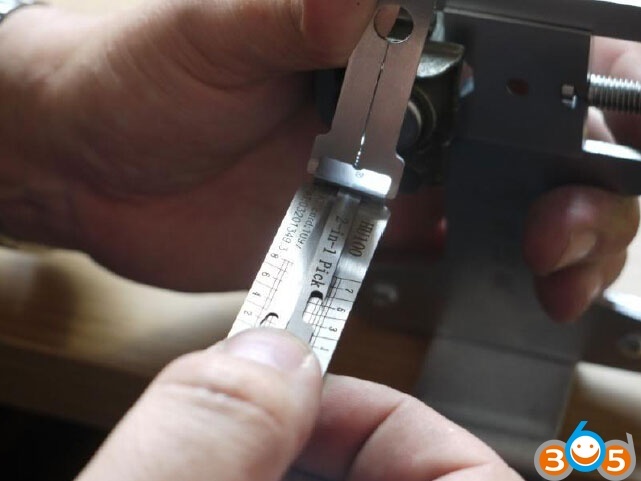 Once the odd positions are set , pick the even positions and the lock will open , maintaining a very light tension throughout. 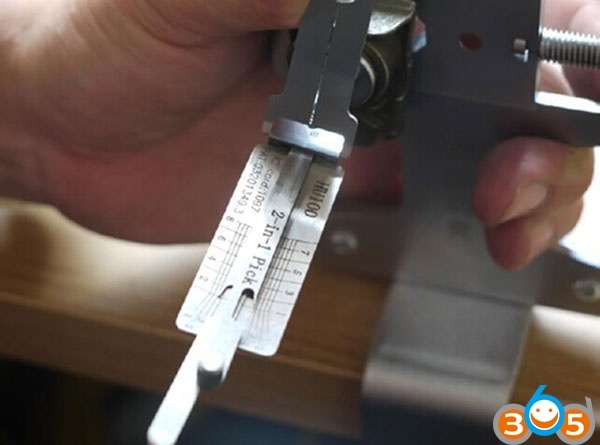 Occasionally you will experience a wafer that binds excessively, when this is the case , it is necessary to follow a process , you must position your lifting lever on the heavily binding wafer, and apply a lifting pressure, then back off the already light tension a fraction at a time until the wafer lifts, as soon as the wafer begins to lift , reapply your full light tension. 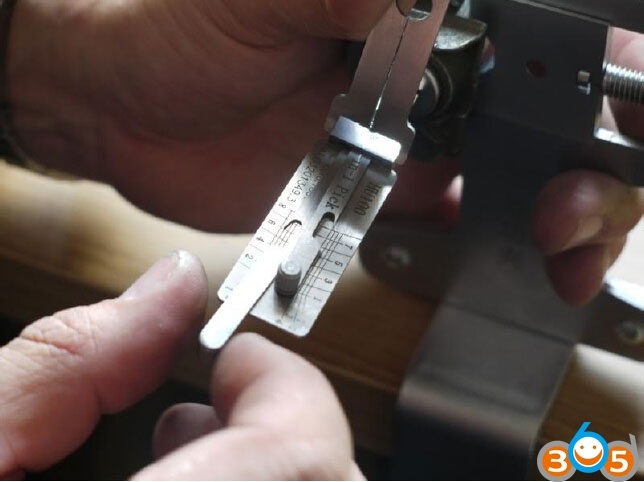 If every wafer is excessively binding very heavily, this is an indication that your tension is far to heavy, and needs reducing , once you crack the required very light tension, this lock is a straight forward , quick and simple pick. 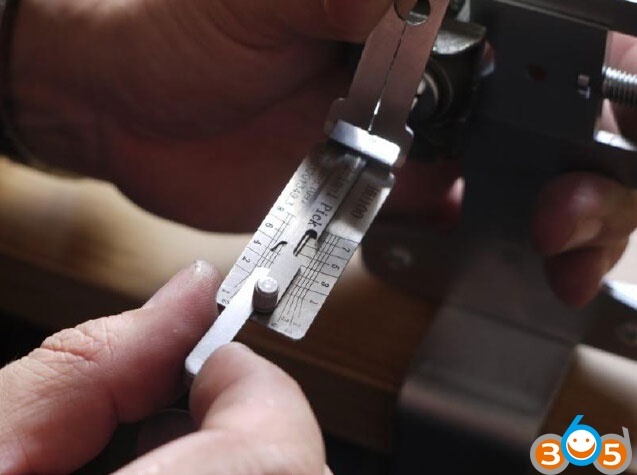 Once the pick is inserted , with no tension applied , check each position to ensure that a wafer can be felt in each position , if so , you need to apply an extremely light tension , you are then ready to pick the lock , we use the top lifter to try and set positions 1,3,5 and 7 , starting with the pointer on the No 1 line, lift the lifting lever 1mm , if it moves leave it alone, check the next odd numbered position and so on until the binding/resisting wafer is found. 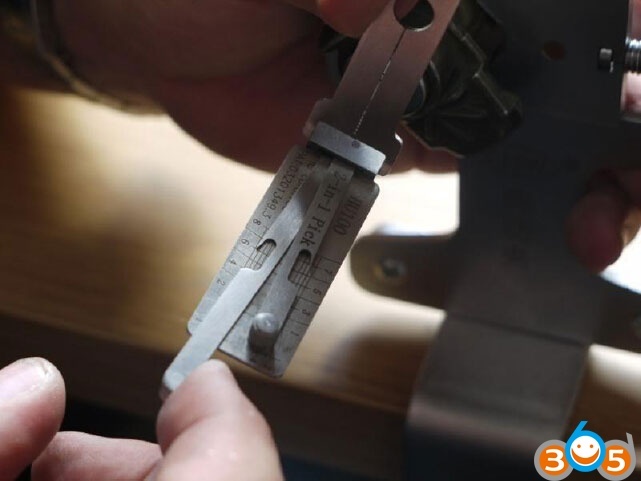 Once the binding wafer is found , lift it 1mm , if still resisting then lift it another 1mm and so on, until it moves and has a tight slapping feeling and motion, this is then set, now move to the next binding odd position. 1st binding wafer to be picked is position 5 . 2nd binding wafer to be picked is position 7. 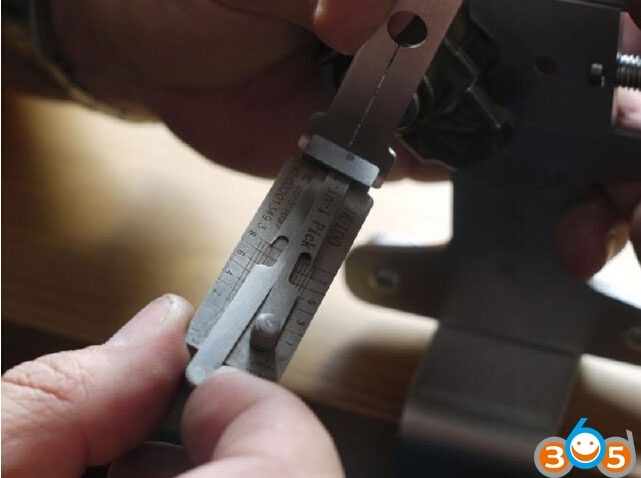 It is worth noting that position 1 and 3 wasnt picked , yet a movement on the plug was felt, suggesting the top row is set, as these positions were not picked it would suggest that they are both No 4 cuts on the key, but a worn 3 cut can also not need picking. Next is position 8 and the lock has opened. As with the top row , position 2 did not need to be picked, thus signifies this too is a cut No 4 on the key in this position, but remembering a worn 3 cut can also not require picking. 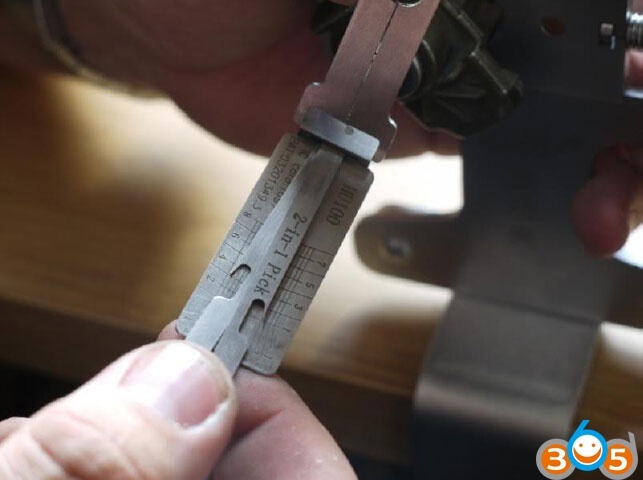 With the lock now picked you need to hold it in the open position via the tension handle in order to decode the lock. 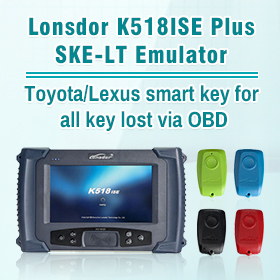 In order to successfully and accurately decode this lock , the lock must first be picked and then held in the open position in order to decode . Position 1 is the bow of the key and position 8 the tip of the key. Start at position one, position the pointer on the position 1 line, decoding with the same lifter you picked with and in the same direction, move the pointer along the line until it stops, it will stop on one of the numbered cut lines, this will be the cut for position 1 , repeat this process for all 8 positions in turn. 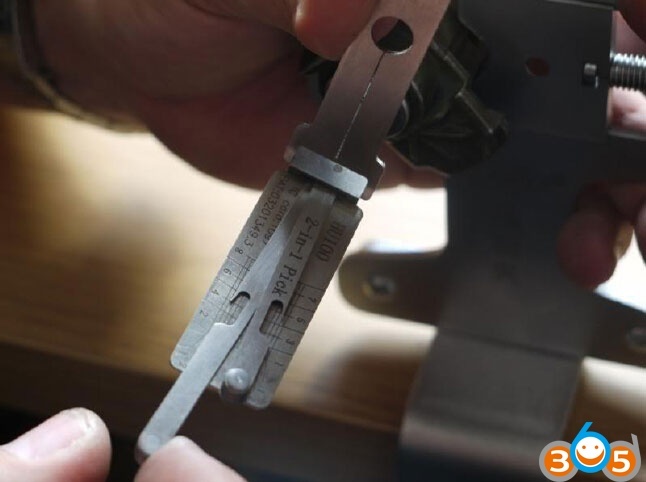 The decode of this lock from the photographs above , has given us a key of , from the bow end , 4 , 4 , 3 , 2 , 2 , 1 , 1 and 3 at the tip of the key. 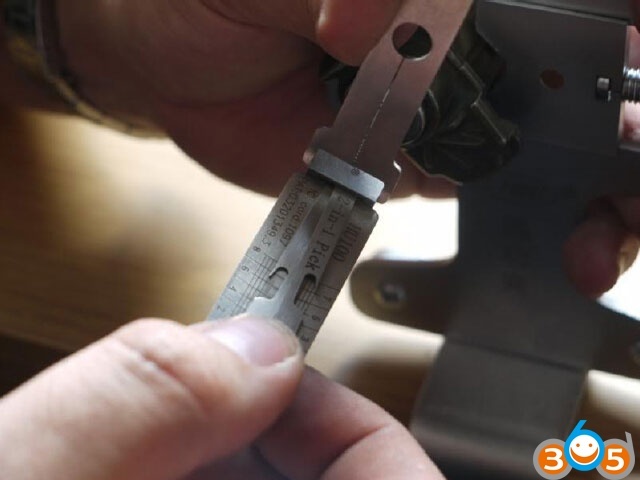 Lishi 2 in 1 HU100 works perfect.